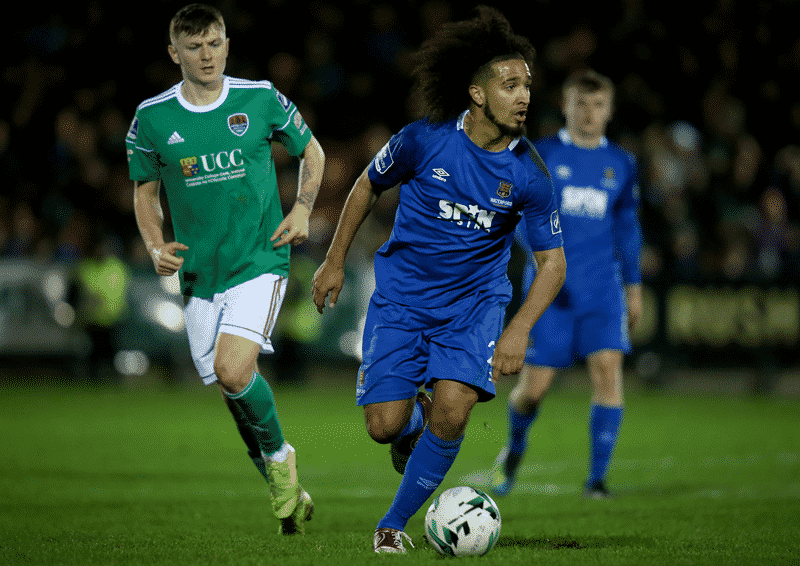 Goals from Bastien Hery and Zack Elbouzedi gave Waterford FC a 2-0 win away to Cork City on Friday night. Hery struck in first-half stoppage time before Elbouzedi smashed home a second in second-half stoppage time to secure the points after a dominate display. Alan Reynolds made two changes with JJ Lunney and Scott Twine coming into the starting XI but it was Zack Elbouzedi who went close early but fired over the bar after two minutes before Damien Delaney headed at Cork keeper Mark McNulty. Izzy Akinade’s strike took a bobble as he fired goalwards before a great Kenny Browne block at the other end kept it scoreless. Twine had a great chance to give the Blues side the lead when Bastien Héry worked space down the right to run at goal before squaring the ball to the striker but his shot was somehow saved on the line by McNulty. 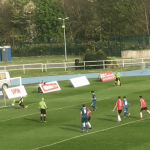 Cork City nearly grabbed the opener six minutes before half time when Daire O’Connor clipped the ball into the penalty area for former Blues midfielder Kevin O’Connor but his right-footed shot was well saved by the feet of Blues keeper Matthew Connor. The Blues finally scored the goal that their dominance deserved when JJ Lunney sprayed the ball out to the left for Kevin Lynch. Lynch found Héry and after some brilliant control, he beat McNulty with a low right-footed finish from the edge of the penalty area into the bottom corner. A quick move with 20 minutes remaining saw Héry pick out the run of Shane Duggan, who slipped in Twine, but the striker’s shot was inches wide of the post. 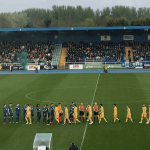 Despite the dominance, Rory Feely came to the Blues’ rescue with a brilliant clearance from the goal line three minutes later when Karl Sheppard’s shot beat keeper Connor, but the defender was on hand to clear. The second goal that secured the win came deep in second-half stoppage time. Twine held up the ball for Duggan, who fed Hery and he picked out the run of Elbouzedi; the winger powered an unstoppable strike past McNulty from the edge of the penalty area.